Katie Jasiewicz is the author of Katie’s Cucina: a home cook, food blogger, and recipe developer. Katie’s Cucina is a place where she shares her love for food – developing and cooking mouthwatering recipes weekly, baking indulgent desserts, and sharing foodie travels from coast to coast. Join her on a culinary adventure where life always tastes good. I’ve always had a love for cooking, and more so over the past decade… eating! My real love for cooking began when I was 9 years old. My dad was deployed to the Gulf War and my mom worked part time out of the home. We had a babysitter a few nights each week. I was tired of eating microwave dinners night after night, and started experimenting in the kitchen. I remember craving breakfast potatoes one evening, and me being a ripe old age of 9 decided to make them. I remembered watching my mother fry them in a pan—how hard could it be? I diced up a potato and started frying the raw pieces of diced potato in a pan. Little did I realize that you can’t fry raw potatoes *well you can, but you need to have a decent amount of oil/butter and a lid to soften them up. I was disappointed after they were “done” cooking and they were crunchy raw potatoes still. After that, my mom started giving me basic cooking lessons, and by age 10 I was cooking for my younger brother, our baby sitter, and myself; basic shake-n-bake chicken, canned veggies, with homemade mashed potatoes (my mom never made mashed potatoes from a box so that’s one thing I’ve never skimped on). I never knew about instant potatoes until I was able to drive and shop for myself! From there, I read cookbooks and magazines and kept experimenting in the kitchen. My dad has told me before that I’ve surpassed my mother’s cooking (but he’d never say that to her)! So there you have it. No professional culinary training. I’m a home cook that has refined my skills over time. I typically like to take 1-2 cooking class each year at Le Cordon Bleu to learn new skills. Maybe one day I’ll go to culinary school. Some will say that I married my high school sweetheart. We dated once in high school, but thanks to high school politics that didn’t work out. Right after we graduated high school we began dating and 6 years later we were married. We had a “5 year plan” and chose to wait to start a family. We bought a home and did our fair share of traveling. We both went to the same college too. I have a Bachelor of Arts degree in Organizational Communications from Rollins College. I spent 9 years practicing corporate Marketing for a national publishing company. I was unhappy with my job for many years, but hung on to it because of the people and the benefits. Katie’s Cucina started picking up steam in 2012/2013 and that’s when I realized I could make this my full time job. I worked hard over the past few years to make this my full time job so that I could stay at home and raise a family. I gave birth to a beautiful baby boy in March of 2014. I left my corporate Marketing job in June 2014 to take care of my son and have been self employed since then. How did Katie’s Cucina start? 6 months after getting married I was in need of filling my extra time with something new. I’ve always been a busy-body and just sitting around is not my style. Time after time I had friends and family asking me for recipes. That’s when I decided I would start a food blog. I started Katie’s Cucina as a hobby. A way to share recipes with the people I care about. 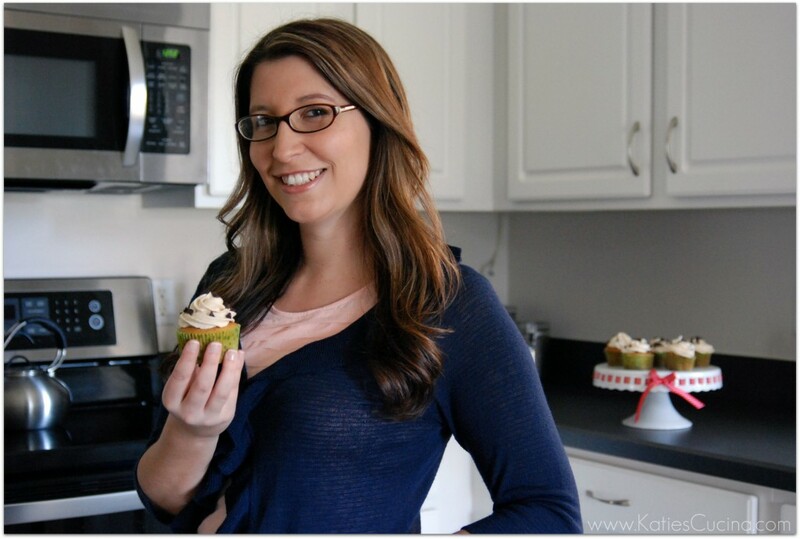 Little did I ever know that Katie’s Cucina would grow from a hobby to a full blown business! I never thought I would be an entrepreuner and own my own business. I remember people always telling me when I was younger to do what you love. I never fully understood that until I was miserable in Corporate America. I’m living the American dream and truly doing what I love to do! If your new to Katie’s Cucina I hope you’ll stay a little while and feel comfortable visiting whenever you want. If my about page didn’t answer your questions check out my FAQs page. If your looking for a specific kind of recipe you can check out the recipe index tab. If you like to travel check out my travel tab. I share a variety of travel post from restaurant reviews to vacation reviews. You can receive every blog post via email. I also send out a free weekly newsletter that gives meal planning tips and insight into what might be happening on the blog. Feel free to sign-up here.